Is the Michael Kors smart watch waterproof? How do I set the date & time on my Michael Kors watch? How do I reset my Michael Kors access watch? Watches have long been more than a timepiece for women. In fact, nowadays, watches are regarded as must-have items besides smartphones and bags. One reason is watches are highly fashionable. On top of that, watches help highlight the wrist area, drawing attention to this delicate and feminine part of our bodies. There is no excuse for not owning a watch. However, I know how hard it is to choose a suitable one. Given all the factors that could influence your decision on a watch, it is clear that buying a proper watch is a daunting task. Just like almost everything else, there were so many options to choose from, and there was little factual knowledge I knew to expect my eagerness to have a watch. 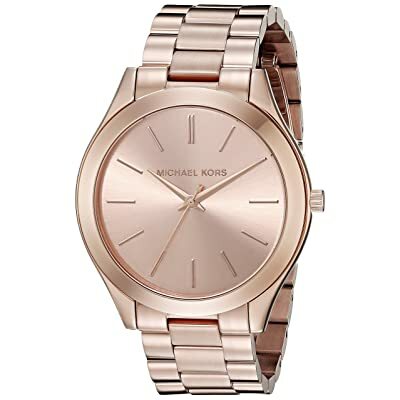 As I was dwelling on the world of watches, I ran into Michael Kors’ watches and their collection of watches for ladies. It was the eureka moment for me as I finally found my “soulmate” watch. I decide that I should not keep this understanding to myself, so I draw up a list of best Michael Kors watches for ladies. 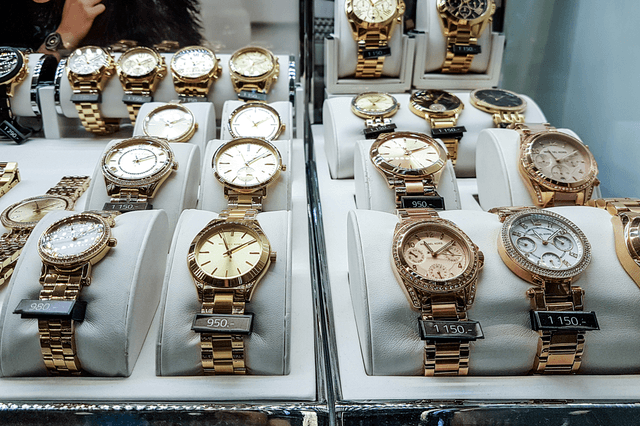 In this list, I provide you with the most prominent Michael Kors watches, their features as well as pros and cons so you can weigh them up before arriving at your final decision. I also enclose frequent inquiries about Michael Kors watches, so that you can find more information about their watches. The advent of big-face watches does seem to pose a threat to the existence of small-face varieties. However, up until now, many people still prefer a small-face watches over their big-face counterparts. There are many reasons to explain why. However, the most obvious one is that small-face watches bring us a sense of feminism. Oftentimes, having a small, simple watch around the wrist draw people attention to this particular area, and at the same time, makes us women feel sweet and beautiful. The simple design is suitable for many social events, where you can dress up dress down as you wish. The tone-sur-tone color plus the sunburst effect will light up the watch under the sun. Triple row band lacks highlight. Not suitable for big wrists. You are looking at a simple yet sophisticatedly made watch. 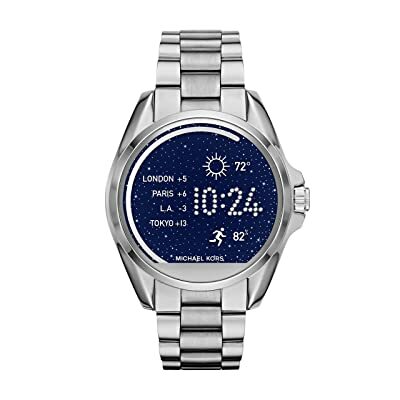 Michael Kors Watches Mini Slim Runway offers nothing but one button with slashes in the place of numerals, no extra features except basic functions for a time-teller. Especially, if you buy the silver-colour watch, you will get extra golden-coated bezel, numerals and hands. The silver-tone watch is suitable for almost all kinds of clothes, from modest to the most fashionable ones. The downside of this watch model is due to its size. As you can see, the case size of 33 mm is not the best choice for those who have big wrist. If you fall into this category, you should stick with case size of 37mm. What’s more, the triple row band, which is quite simple and lacks acme, could be a drawback for this item. Glamorous design with gemstones dial, unique lug and rose-gold tone. Suitable for many social events. Some people don’t like lightweight watches. Subdail’s too bright, sometimes you can’t see the hand. If you think only big-face watches could make you look elegant and stylish, Michael Kors Watches Portia will make you reconsider. This gorgeous and delicate watch will undoubtedly consitute a great gift for your wife or girlfriend. The numerals and hands are intendedly minimized to the most uncomplicated design. The second gemstones dial lights up the whole face of the watch, making it the most suitable candidate for parties or formal event wear. 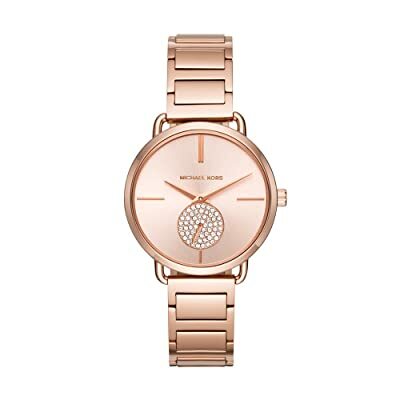 Rose-gold color is the hottest tone in the watch world for ladies currently. As can be perceived, the lug design is unique and trendy. The dial, though simple, is extremely well-made. The downsides are trivial. For some women, wearing a lightweight watch is not necessary an advantage since the watch could make them feel a bit weird on the wirst. Remember the feeling when you wear something and then forget that you wear it? That’s exactly what some people detest. 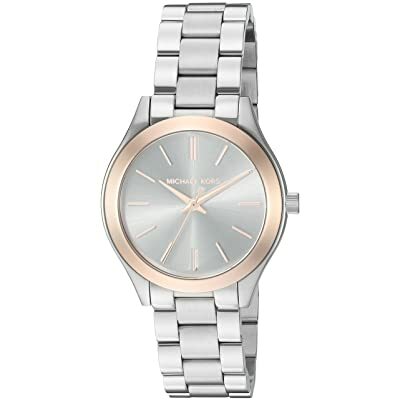 If you are looking for a trendy-look watch, Michael Kors offers various of big-face watches. It’s quite hard to determine which is big or small watches. However, in Michael Kors, you will find out that 39mm to 44mm in dimension is considered big. The big-size phenomenon appears when people start to look at the traditional size of watches and realize big-size watches breathes a new contemporary sense to watch wearers. This MK5896 and MK5774 models enchant watch lovers with their glamorous gemstone bezel. The watch face, which is decorated with gems coupled with the Swarovski crystal markers, brings a fresh look to your wrist. The double-push clasp ensures the safety when you wear your watch. These two items can be perfectly teamed with feminine dresses such as long dresses or tailored ones. Furthermore, both watch models have a high level of water resistance, which means if you can wear your watch during swimming and bathing. The price could be a push-off for many people since it is way cheaper than their looks. People who aim for luxury style may want to buy more expensive watches. Nevertheless, if you are seeking something that will light up your outfits informal events or just want to look gorgeous on regular occasions with an affordable price, this is the best option for you. Michael Kors always brings watch-wearers a sense of confidence while wearing their design. Among their ready-to-wear watch models, the Slim Runway is probably the most simple and fashionable design. First of all, this model offers some of the easy-going styles. The numerals are replaced with long dashes. No extra dials or buttons. Surprisingly, this simple watch is well-matched with most of the clothing items, from vests to girly dresses. Furthermore, women who prefer a watch that shows less obvious implication of their strong personality would love the rose-gold color, which acts as a neutral factor to its design. The price is another thing that draws people attention to it. Surely everybody wants an affordable watch with the aesthetic and active design. This model is undoubtedly suitable for girls who are sporty and outgoing, who also happens to be a minimalist. The design might not be the highlight of this model. The three buttons on edge might make the watch a little bit bulky for women. However, you might have to appreciate the second dial in the watch face which is made for second timezone tracking, notifications and alarms. This is an indication that this watch is neither a casual-wear watch nor a smartwatch. In fact, it enables users to enjoy the best of both worlds. This hybrid model offers a stunning level of water resistance compared to smartwatches, which is over 160 ft. So if you accidentally wear it during a shower, it will be fine. The bright side of this model is quite astonishing. This watch allows you to track your activity, deliver your smartphone notifications, even take photos and store music via your phones. You can easily navigate these functions through the 3-functional buttons. All in all, this watch is quite a good investment since it displays several necessary “smart” functions with modern design. The Bradshaw Access mostly aims at women with style and unisex look. The design doesn’t go too far from the classic MK watch whose elegant bezel and shiny stainless steel stand out. This version offers IP67 water resistance and can also prevent dust from covering your watch. As for the size, the 45mm Bradshaw is the most exceptional in its kind, even compared to the Oversized Bradshaw, which is only 43 mm in dimension. At this moment, it all comes down to personal preferences to find this model agreeable to your wrist, or it is way too big. If there is anything more to praise about this specific Bradshaw Access, it is the highly customised feature. Basically, you can set everything based on your preference such as the dial colour to hand colour. The Acess app provides a wide range of apps which could help you do things like robotically switching from day and night. The Android Wear feature enables you to access both Android and iOS phones. That means any notifications from your phones could be instantly transmitted to your watches such as messages, calls, and emails. What I don’t like about this model is also from its “smart” features. There are many limitations from Android Wear that sometimes iOS users would prefer not to connect their phones to the watch at all. The app list still needs a serious upgrade. However, all in all, this is a modish watch for women with enough necessary smart features. Plus, the price is brilliant. First thing first, the Sofie is a smartwatch. Therefore, you would be more beneficial from its unique features than just for time-checking or fashion purpose. This Andriod smartwatch offers 512MB of Ram with Qualcomm’s Snapdragon Wear 2100 operator. Furthermore, you now have extra 4GB storage so you can stuff inside some music files and stream them via Bluetooth. Sounds great, doesn’t it? Unlike the Bradshaw Access which aims at unisex style, the newest Sofie’s design offers a more elegant look. The flashy aesthetic gemstones certainly do the trick. For those who are not appealed by the pave look, you can easily trade it off with a leather band. Another plus for this model is its lightweight capacity. The watch nests stylishly around your wrist. The only disadvantage in terms of design is the fact that it single button which limits you from operating the interface like its counterpart for men. This model features Android Wear 2.0, which enables users to access their Android and iOS phones to alert calls, messages and many more. However, iOS phone users may not find Android Wear compatible with their system, giving users limited app choices and features. This, however, doesn’t stop the Sofie become the most favorite item for many women who pursuit sophistication and modernity. All Michael Kors watches in this list are water/dustproof. As you can see the level of water resistance depends on different models. For example, Michael Kors Access Sofie MKT5022 and Michael Kors Access Unisex Bradshaw both adopt IP67 as their water-resistance standard. IP67 is a standardized rating provided by International Electrotechnical Commission. 6 means that this product is highly resistant to harmful dust. S7 means this product is protected under the water with a depth of no more than 3.3 feet. Therefore, if you buy smartwatches from Michael Kors, it is advisable to keep them away from water. Other quartz analogue watches offer a higher level of water resistance. 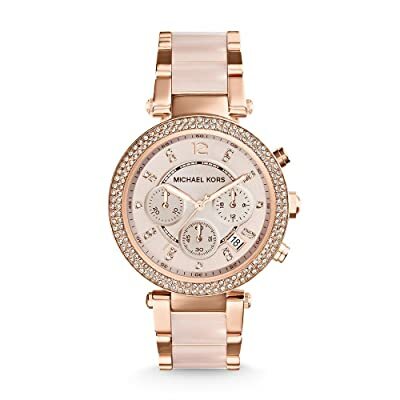 Michael Kors Women’s Parker Rose Gold-Tone Watch MK5774, for example, can endure a large amount of water pressure up to 330 ft. This means you can go swimming or snorkeling with the watch. Most of the watches will offer a level of water resistance up to 165 ft, which is only suitable for occasional swimming and bathing. However, it’s best not to be exposed too frequent to water. This may sound weird, but many people struggle with setting the date and time on their Michael Kors watch. In this section, you will find useful instruction on how to set the date and time for analogue watches. To set the time, you first need to yank the button or the crown. There are two positions: number 1 is the closest position to the case, and number 2 is the furthest. Pull it until you reach the number 2 position. Now, turn the button to set your time. Finally, gently bring it back to the number 1 position. Other watch models can support both date and time setting. With these types of watches, there are three positions: number 1 is the closest position to the case, number 2 is the position for date setting, and number 3 is the position for time setting. If you want to set date, yank the button until it reaches number 2 position. Turn the button to set the proper date. How to turn the button depends largely on the watch model. Next, pull it further to the number 3 position to set the time. Finally, put the button back to the first position. Many things could happen with your Michael Kors access. Sometimes the only option left is to bring it back to its initial stage, which is the factory settings. 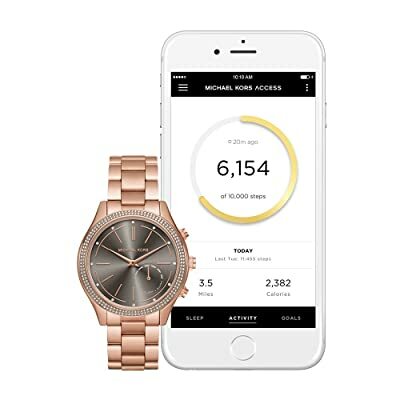 When you reset your Michael Kors access watch, bear in mind that all your data in your watch will be deleted and unable to be restored. Any data is counted for that matter, such as notifications, apps, system settings, activity tracking data, music, files and many more. The good news is this setting will not affect your Google account, which means any confidential data you keep there will be safe. Touch the middle pusher button and hold it for a while until your display lights up. You need to confirm this step so the watch can reset itself. Pair your watch with your phone again after the resetting is finished. After reading through my list, you might have a glimpse of why I fancy Michael Kors watches. 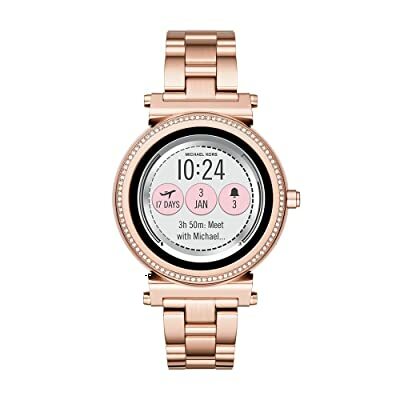 They have so many things to offer, from small-face watches with classy design to the hybrid watch which features functions of both types of watches, and most importantly the smartwatches which are specifically designed for women. I hope that you would find a lot of useful information about Michael Kors watches in general as well as specific models. Finally, I know when you look at this list, it means you really want to have a suitable watch. However, don’t rush to make the decision. After all, you need to give yourself something to process the information and decide which model is the best investment for you.